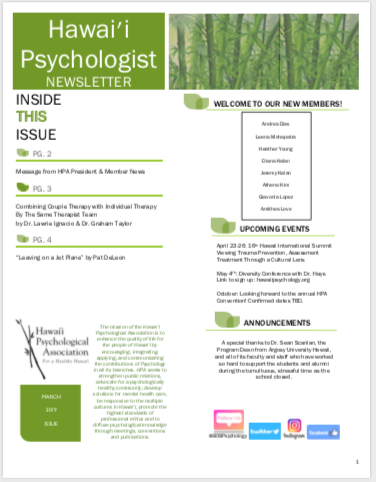 The mission of the Hawai‘i Psychological Association is to enhance the quality of life for the people of Hawai‘i by encouraging, integrating, applying, and communicating the contributions of Psychology in all its branches. HPA seeks to strengthen public relations, advocate for a psychologically healthy community, develop solutions for mental health care, be responsive to the multiple cultures in Hawai‘i, promote the highest standards of professional ethics and to diffuse psychological knowledge through meetings, conventions and publications. Become a Member of HPA! HPA works to inform the public and the legislature about psychology in order to ensure that quality health services, both public and private, are available to the diverse people of Hawai‘i. When it comes to your professional future, HPA membership is one of the most valuable investments you will make. Your investment ensures that HPA can continue to protect, preserve and advance your profession. Help us help you! Media inquiries: Our members are available as subject matter experts. Please contact us for assistance. 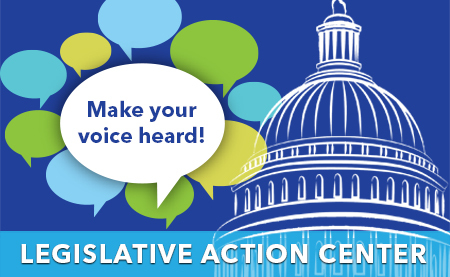 Find your U.S. and State legislators, search local government issues and legislation. In this dynamic presentation, Dr. Pamela Hays offers tips and tools for resolving value conflicts, communicating effectively, and building respectful relationships. You'll learn how to avoid defensive interactions and address hot button issues. And you'll gain a new way of understanding yourself, coworkers, clients and customers with an emphasis on strategies for enhancing success. Increase awareness of personal biases and knowledge gaps related to your own cultural identity, context, and experiences. Gain an understanding of specific ways to demonstrate respect and increase rapport with people of diverse cultures. Learn strategies for facilitating communication, reframing value conflicts, and building relationships. In this workshop, Dr. Pamela Hays describes 10 practical steps for integrating cognitive behavior therapy (CBT) with multicultural considerations. You'll learn how to inspire clients with the Personal Strengths Inventory, explain the complexities of CBT in a comprehensible way, and avoid the most dangerous CBT mistake. You'll gain culturally responsive cognitive strategies including Compassion Voice, Attitude of Gratitude, Wise Elder, Most Generous Interpretation, and the Magic 3-Step Technique with kids. And you'll learn how to create culturally responsive homework that works. Create a Personal Strengths Inventory that recognizes cultural strengths and supports. Avoid the biggest CBT mistake of premature cognitive restructuring. Describe at least 3 strategies for making cognitive restructuring more culturally responsive. Use the Smallest Step Question to create culturally responsive homework. Pam obtained her Ph.D. in Clinical Psychology from the University of Hawaii followed by an NIMH postdoctoral fellowship at the University of Rochester School of Medicine. After 11 years teaching in the graduate psychology program at Antioch University in Seattle, in 2000, she returned to her home town of Soldotna, Alaska, where she has worked in community and tribal mental health and in private practice. She loves to write and is the author/coauthor of several books including Addressing Cultural Complexities in Practice; Culturally Responsive CBT; Creating Well-Being: Four Steps to a Happier, Healthier Life; and Connecting across Cultures: the Helper's Toolkit. Her therapeutic work is featured in numerous training videos produced by the American Psychological Association. For more information, see www.drpamelahays.com. of your office or home via live webinar. HPA is approved by the American Psychological Association to sponsor continuing education for psychologists. HPA maintains responsibility for this program and its content. Web-based participation is also available. Participants are also welcome to attend the HPA Board meeting from 9:30 am - 11:00 am. The meeting will focus on neighbor island behavioral health issues, needs and challenges. This workshop is free to all participants. This presentation focuses on State and Federal policies impact rural behavioral health workforce needs. Beginning with a review of what has been implemented, information will be presented that identifies what has worked, what hasn't, and why some current approaches continue to fail to address the rural workforce shortage. Suggestions to improve current policies and what new and innovative ideas can be implemented will be provided. Understand past policy-based approaches to addressing rural behavioral health workforce issues. Recognize the need to re-define how rural areas are served by behavioral health services. Be able to implement strategies at the local level to influence State and Federal behavioral health care workforce policies. This workshop is sponsored by Hawai'i Psychological Association. HPA is approved by the American Psychological Association to sponsor continuing education for psychologists. HPA maintains responsibility for this program and its content. This workshop is appropriate for psychologists, behavioral health professionals, policymakers, legislators and others interested in improving behavioral health access to care. The workshop will be streamed live over the web for registrants who need off-site access to the event. We look forward to seeing you - in person or via the web - at this special HPA Workshop and Board Meeting on the Island of Hawai'i. It is estimated that Oahu has approximately 12,000 people suffering from Obsessive Compulsive Disorder (OCD) in any given month. A provider search on the HPA website of the terms “OCD” and “Obsessive Compulsive”, yields only between 6 and 9 results. There appears to be a large need for treatment and a severe shortage of treatment providers trained in evidence-based diagnosis and treatment of OCD. Becoming skilled in treating OCD will not only help alleviate the suffering of many people, it is a chance for Hawaii clinicians to significantly expand their incomes. This workshop is appropriate for psychologists, psychiatrists, physicians, social workers, marriage & family therapists, counselors, and students in these fields. Participant use of therapy materials. This workshop will be presented by Elna Yadin, PhD, former Director of the OCD Clinic at the Center for the Treatment and Study of Anxiety in the Department of Psychiatry at the University of Pennsylvania. Dr. Yadin has extensive experience in the treatment of anxiety, stress, and obsessive-compulsive disorders. She is renowned for her work in training and supervising professionals in the implementation of evidence-based treatments for OCD and PTSD. She has authored or coauthored academic articles, book chapters and books, including Exposure and Response (Ritual) Prevention for OCD: Therapist Guide, and Treating your OCD with Exposure and Response Prevention Therapy: Patient Workbook (with Edna Foa and Tracey Lichner). We are attempting to bring the training to Hawaii in order to save the costs of travel and accommodations, and to offer it at a discounted price relative to workshops given on the mainland. The size of the discount will depend on how many people express interest and can commit to attend. 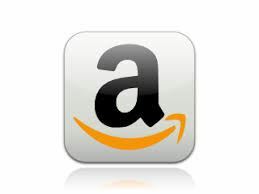 We hope to offer the 4-day training for $750 to $1,000. The training is tentatively scheduled for Friday June 28 through Monday July 1, 2019 at a premier venue in Honolulu. You will receive a certificate of completion of the intensive four-day workshop from Dr. Yadin. You will also receive 24 CECs, which means you will have all your required CECs for the two-year cycle. The book, Treating Your OCD with Exposure and Response (Ritual) Prevention: Therapist Guide, which sells on Amazon for $32.50, is included in the cost of the training. The workshop training will be interactive and will include the “nuts and bolts” of OCD assessment and treatment. Registration is limited. A $100 deposit, received by April 5, will reserve your spot and be applied to your registration fee. If there is not enough interest, the workshop may have to be cancelled, and your $100 reservation fee will be returned to you. Please respond directly (and only) to Tyler Ralston, PsyD, ABPP at dgkahalas@gmail.com (without responding to all of HPA) if you are interested or have questions regarding this 24 CE training. Tyler Ralston Psy.D. ABPP and Michael Christopher Psy.D., Ph.D. The Trust is a preferred provider for insurance, financial security, and risk management programs. 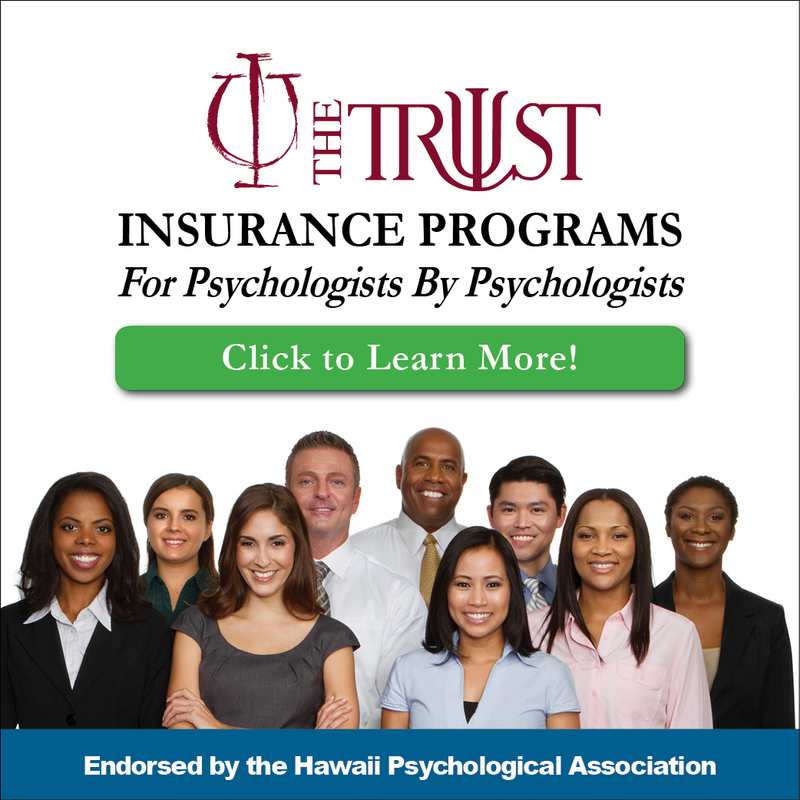 The Trust helps support HPA programs that benefit its members as well as psychologists in Hawaii. The Trust programs include Professional Liability, Student Liability, Researcher and Academician Liability, Income Protection (Disability), Group Term Life, Auto & Home, Long Term Care, Business Office, and Retirement Plan Services.